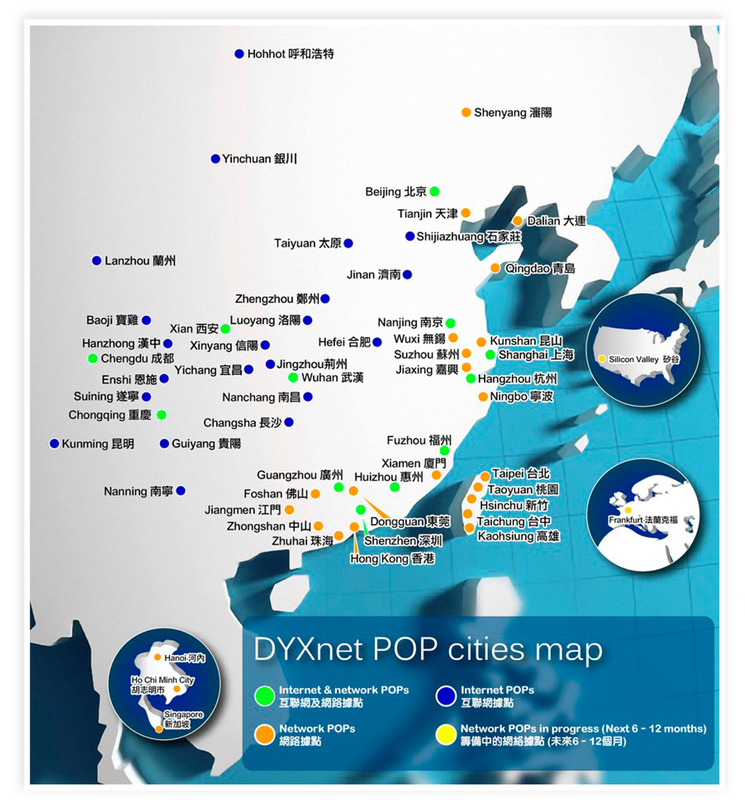 DYXnet Group has established a 10 Gigabit-per-second (Gbps) backbone ring between Greater China’s tier-1 cities – Hong Kong, Beijing, Shanghai, Guangzhou and Taipei. We now have more than 200 Internet and network points of presence (POPs) in 57 cities in Greater China, Vietnam and Singapore. We are also expanding beyond Asia, with two further carrier-grade POPs planned for Silicon Valley and Frankfurt in the next 6 to 12 months. Our backbone infrastructure has been boosted significantly as a result of the recent merger with 21Vianet’s Content Centric Internet Backbone (CCIB) unit. Total Internet capacity is now 1,000G and we have concluded Internet peering arrangements with 240 global carriers, Internet exchanges and major enterprises. In a move to offer our enterprise clients even better resilience and redundancy on our backbone infrastructure, we have also expanded the number of dual POP cities to eight: Hong Kong, Beijing, Shanghai, Guangzhou, Shenzhen, Dongguan, Suzhou and Taipei. We now have more than 200 POPs in 57 cities in Asia. Another two are planned for Silicon Valley and Frankfurt. 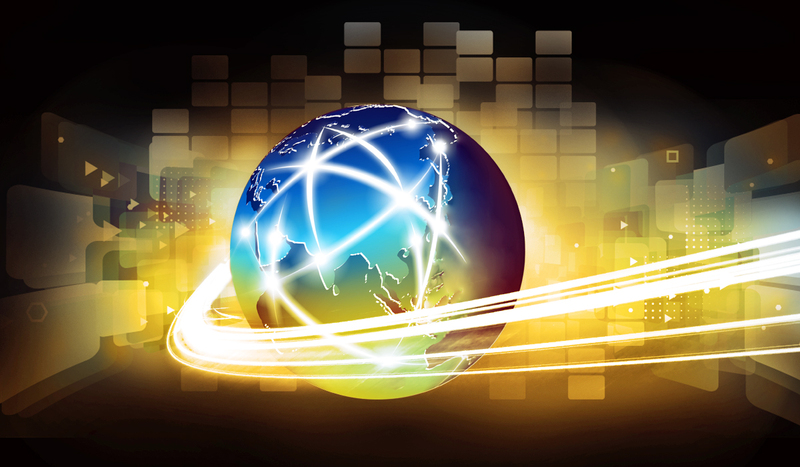 In a sign of great confidence in DYXnet, our global carrier clients continue to expand business operations and bandwidth and run mission-critical applications on our reliable and scalable network. We are pleased to enhance our high-redundancy backbone and maintain our leading position. Since the merger we have developed synergies in offering a best-of-breed network backbone as well as a wider network footprint to our carrier-grade and global brand clients. The addition of two new POPs in cities outside Asia will also add a whole new dimension to our already well-established network coverage.